Constant Contact is one of the leading email marketing platforms out there, as it allows you to powerfully send email marketing campaigns quickly and easily and will allow you to build beautiful campaigns that can be tracked. A number of people have approached us recently asking about our support for Constant Contact, and from getting in contact with the team at Constant Contact, we have prepared a guide for using WP Email Capture with Constant Contact. Using WP Email Capture with Constant Contact with WP Email Capture is incredibly straightforward, but you will need a bit of manual work to get your list into Constant Contact. Luckily it is quite simple to do so. First of all, log into your WordPress Dashboard and go to “Settings” located in the WP Email Capture section. Scroll down to the “Members” section and click “Export List”. You will end up with a CSV file that you can now upload into Constant Contact. Log into your Constant Contact dashboard, and click on “Contacts” along the top, there should be a list of all your current contacts at this point, click on the “Add Contacts” button and click on “Upload From File”. Navigate to where your field is located and then upload. You should get a match up column. WP Email Capture combines it’s name column, so you may need to assign the name only to “First Name”, or change how you structure your list. Either way make sure all columns are matched and then click “Continue”. Choose which list you want to assign these contacts to (if any) and then click “Upload”. Your list will have these emails added. Using WP Email Capture Premium you can skip a step and automatically collect users details and no messing with copying over of details. This will allow you to control also what data gets collected and gives more control on the form – you only need to edit it in one place. To begin with, head to your Constant Contact account, click on “Sign Up Forms” and click on the giant plus to create a form. Make sure you create an “Inline” form by selecting it from the popup that appears. You’re now taken to the form creator. 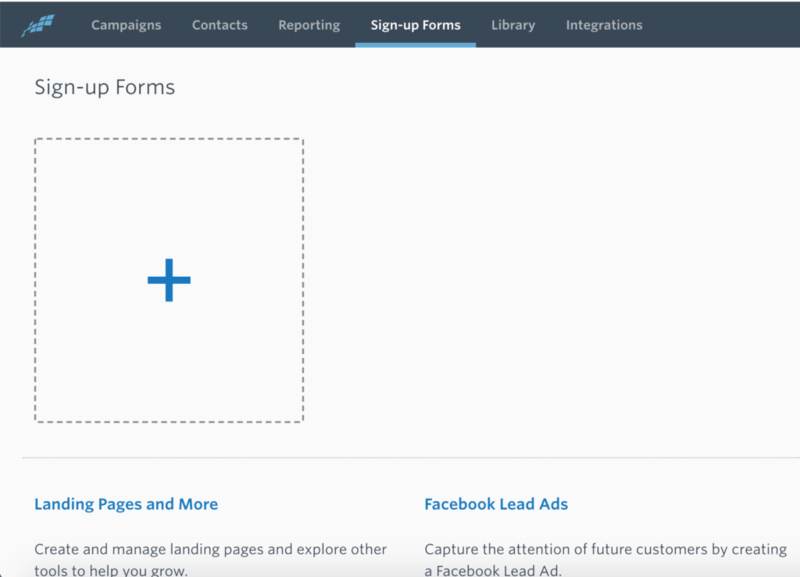 Design and create your form based on the settings on the sidebar, making sure that you choose a list for the form to go to. When you’re happy, click “Publish” in the top right hand corner. Before you can install the form into WP Email Capture you’ll have to install the universal code upon your site. The easiest way to do this is to use a plugin called Insert Headers & Footers. If you install and activate this plugin and head to Settings > Insert & Footers page on the WordPress dashboard. Copy the Universal Code from Constant Contact and paste it into “Scripts in Footer” box. 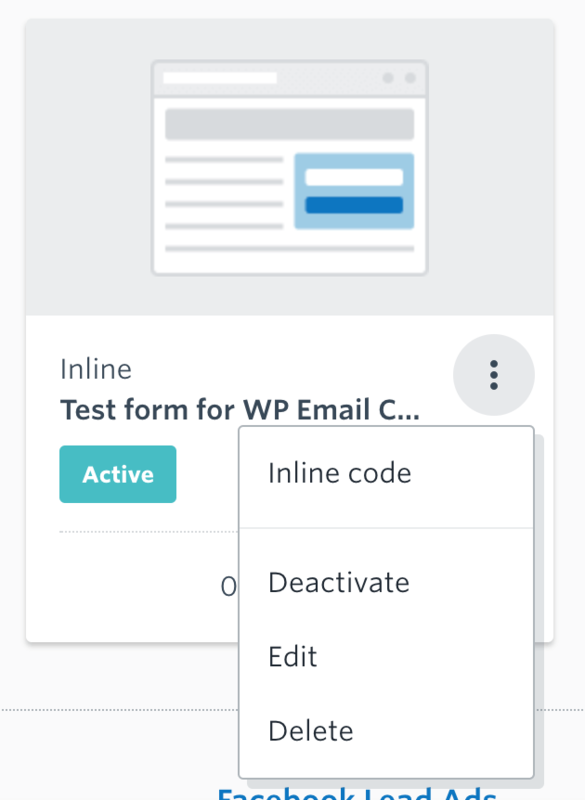 Now all you need to do is create an external list within WP Email Capture Premium, first off, return to Constant Contact, and click on the three dot menu and select “Inline Code”. Copy and paste this code into a safe place. Following this, return to WordPress’ Dashboard, and go to WP Email Capture > Lists, and click on “Add New External List”. Give the list a name and a landing page for the final option, and paste the code from Constant Contact into “Code for the Capture form”. You will now be able to add your Constant Contact forms using the WP Email Capture widgets, shortcode or Rich Editor blocks. So that’s how you add your WP Email Capture lists to Constant Contact. 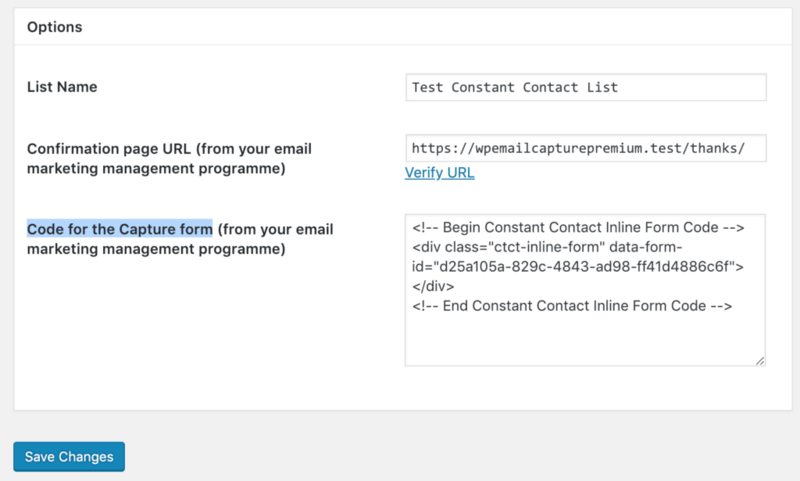 From initial testing of Constant Contact, it’s a great tool for managing your email list designed for serious marketers. 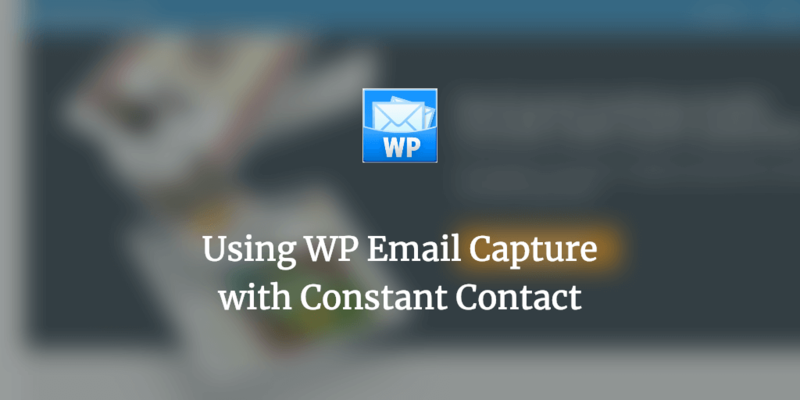 Have you used WP Email Capture with Constant Contact and do you have any tips? Please share them in the comments if you have! Constant Contact have a 60 day free trial and affordable plans, be sure to check out Constant Contact here.